The second YoungStarters meet up started with an introduction to mentors Kei Baritugo and Craig David Long. Kei Baritugo started BoldLove Communications, which focuses on both the non-profit and for-profit sector of the art community of Vancouver. Kei's passion for the arts has taken her to opportunities with the Olympics and the Cannes Film Festival. Craig David Long started a blog called The Commodified back in the early 2000's. This led him to work with Fashion Magazine and eventually as Online Editor for Montecristo and Nuvo magazines. 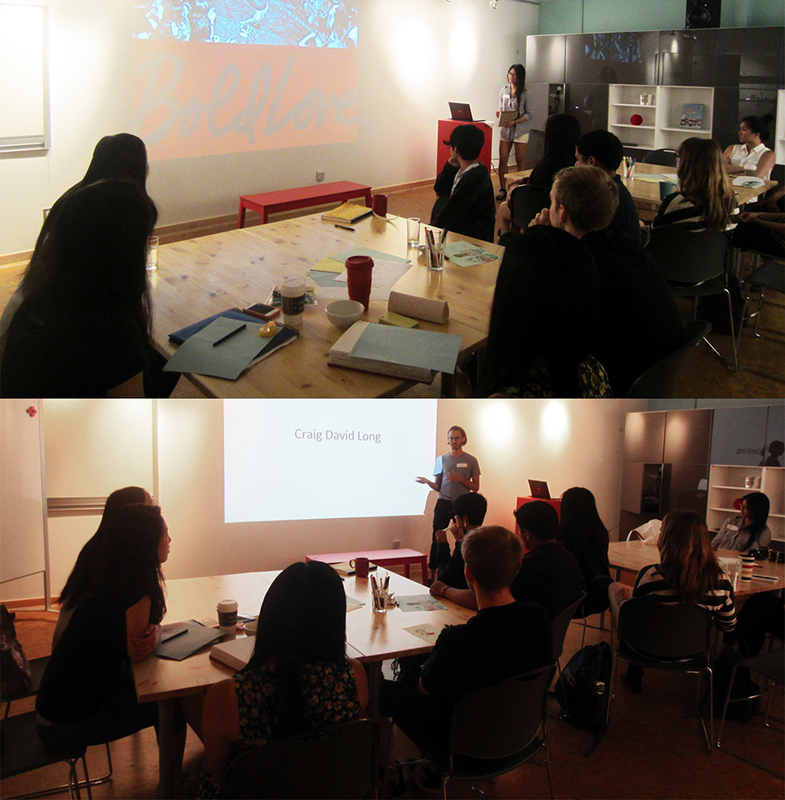 The two mentors kicked off the morning with a talk about their own work and the importance of Vancouver in their careers and lifestyle. After the mentor talks, the YoungStarters were introduced to the site of their future community art project. The YoungStarters will be working with the Gordon Neighbourhood House in the West End of Vancouver. 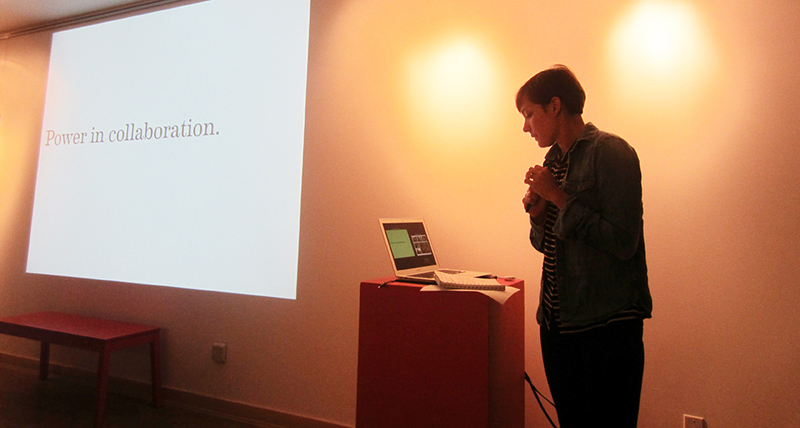 After seeing images of the site, they engaged in a discussion about private and public spaces. What do private and public spaces in our culture mean? Is a restaurant a private or public space? Is ArtStarts a private or public space? They also addressed the role of public art in our community. Taking a look at prominent pieces in our city, the YoungStarters discussed works like Amazing Laughter on Denman and Davie, the East Van Cross on Clark Drive and the Olympic torch. How do they function in our public spaces and how do they address the community? 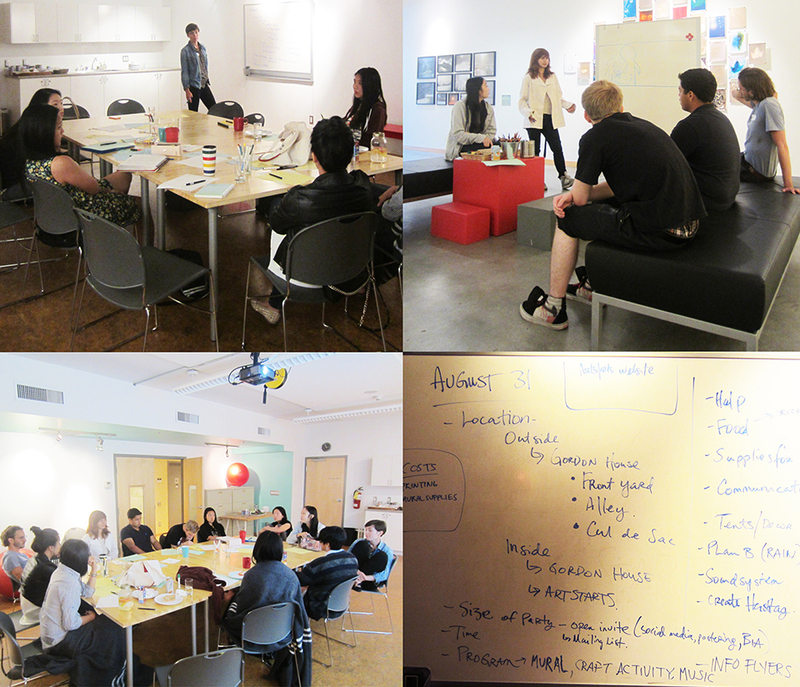 This led to brainstorming about the themes of the YoungStarters projects and the decision to call the project "Vancouver Shapes Me By…"
After lunch, we had another guest mentor talk from Lizzy Karp. Lizzy is the co-founder of RainCity Chronicles, a storytelling event that happens in Vancouver. Lizzy is also the co-founder of A Good Book Drive that last year helped raise 1,000 new books for the Writer's Exchange Library. Many, many, many decisions were made. The YoungStarters ended their day with a site visit of their future project. Stay tuned for more updates as the project develops!